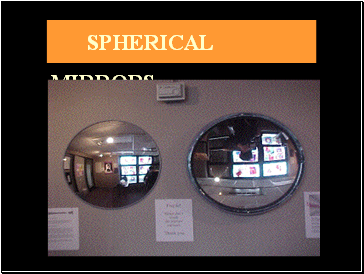 What is a spherical mirror? 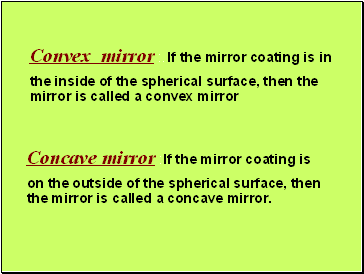 Concave mirror :If the mirror coating is on the outside of the spherical surface, then the mirror is called a concave mirror. 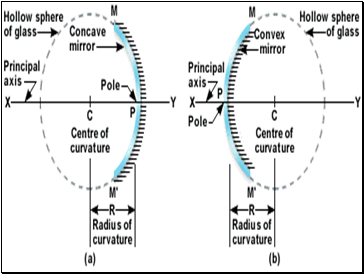 1.Center of curvature : The center of curvature of the mirror is defined as the center of the hollow sphere from which the mirror has been cut. 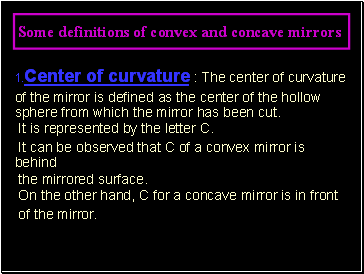 It is represented by the letter C.
Radius of curvature is the radius of the sphere from which the mirrors (either convex or concave) is made. 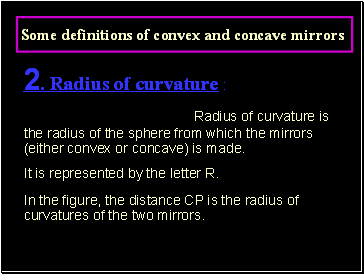 It is represented by the letter R.
In the figure, the distance CP is the radius of curvatures of the two mirrors. 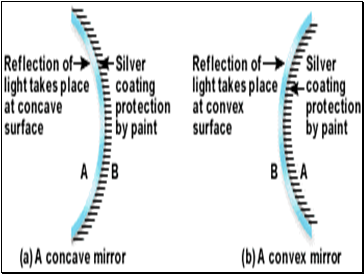 3.Pole of the mirror : The central point on the surface of the mirrors is called the pole of the mirror. 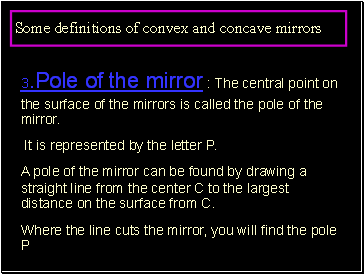 It is represented by the letter P.
A pole of the mirror can be found by drawing a straight line from the center C to the largest distance on the surface from C.
A straight line that passes through the center of curvature C and the pole P of the mirror, is called the principal axis of the mirror. 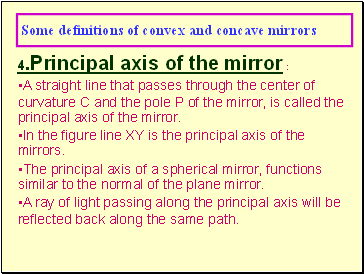 In the figure line XY is the principal axis of the mirrors. 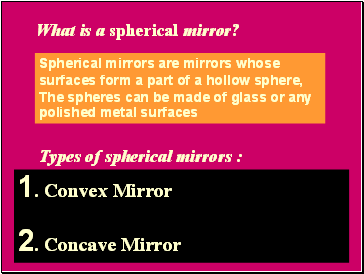 The principal axis of a spherical mirror, functions similar to the normal of the plane mirror. A ray of light passing along the principal axis will be reflected back along the same path.